Welcome to Precision Electric, your trusted distributor for industrial electronics and professional service and repairs located in Mishawaka, Indiana. 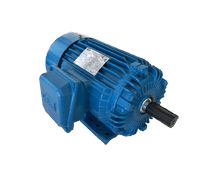 We offer our customers across the United States a vast selection of industrial equipment to purchase, with our primary products being Variable Frequency Drives, Phase Converters and AC Motors. We are passionate about maintaining the uptime of your industrial equipment and thats why we are happy to provide on-site repair services for your needs. Precision Electric can save customers as much as 70% on equipment repair. Plus, all our equipment repairs include a 12-month in-service warranty. This means your warranty doesnt kick in until you install the equipment you had repaired. To prevent any future downtime, send us your damaged equipment critical to your processes so you can have a spare! Click here to request a free industrial repair quote. So whether you need to buy Variable Frequency Drives (VFDs), Phase Converters, and AC Motors, or are seeking expert tech support to install or repair your equipment, our team at Precision Electric is here to serve you. We do everything at the highest possible standards for our industry. We dont do voicemail. We have 24/7 service and support because we are dedicated to providing superior products and support to our clients. Call us today at 574-256-1000 for any questions or to place an order and experience the Precision Electric difference! Browse the latest training videos and workshops from our official online training center.